Farm Camp 2019 dates are set! Little Brook Farm is a small family farm nestled in the Pioneer Valley of western Massachusetts. The farm is run by Kristen Whittle, her husband Tom and her son Travis, who practice sustainable, low environmental impact agriculture, offering local consumers a selection of healthy products. Diversification is key to this farm’s philosophy. At the heart of the farm are its sheep and Border Collies. 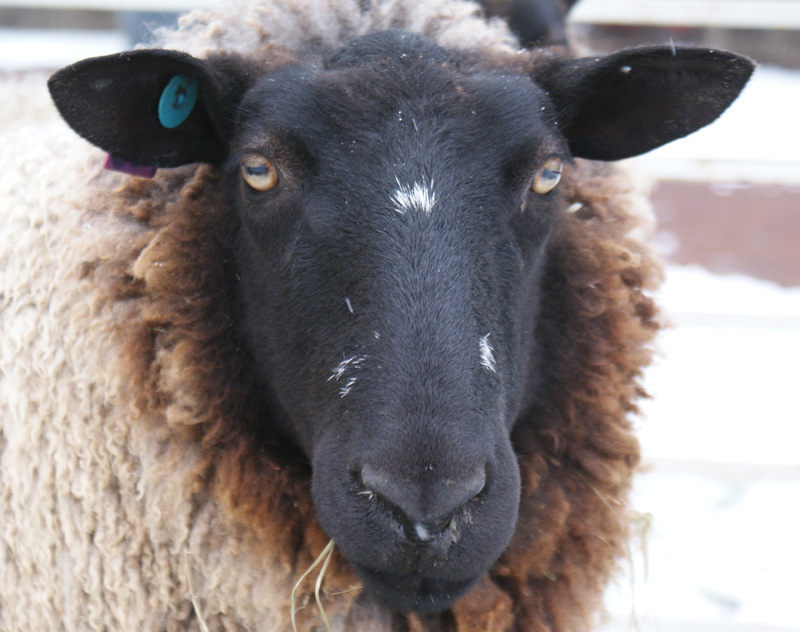 The sheep are Border Leicester crosses, famous for their soft, lustrous wool, which is highly prized by handspinners. They are crossed with meat breeds such as the Texel for remarkably meaty lambs that will grow out well on grass. The Border Collies are our farmhands, making managing our animals fun and stress-free for the livestock. Llamas and donkeys live with the sheep and help to protect them from predators. We also raise our own pork. Our pigs are raised outside where they are free to roam and enjoy the mud baths they have created for themselves, thriving on a combination of grain and local fresh vegetables. Little Brook Farm is also home to horses, chickens, turkeys, ducks, geese and goats. 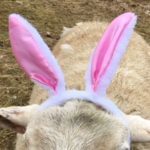 Shop our online store for farm-raised meat and poultry, fleeces and blankets, Nigerian Dwarf goats and eggs. We also offer Border Collie herding demonstrations, petting zoos and farm parties and our annual Farm Camp sessions for kids. And don’t forget our popular Farm Girls bumper stickers for only $3 each! There have been multiple Easter Bunny sightings here on the farm in the past few days. I have some seriously tolerant animals. Love the expressions on some of their faces! Farm Camp 2019 – time to register! 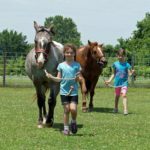 Sign up for Little Brook Farm Camp now – there are four weeks to choose from and as usual, it’s first-come-first-serve!